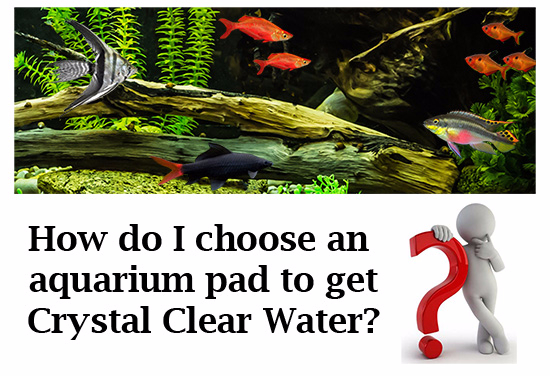 #1 For crystal clear water choose a filter pad which traps large to fine particles floating in your aquarium water. This can be done with one pad commonly called dual density or with two pads, one coarse and the other a fine pad. 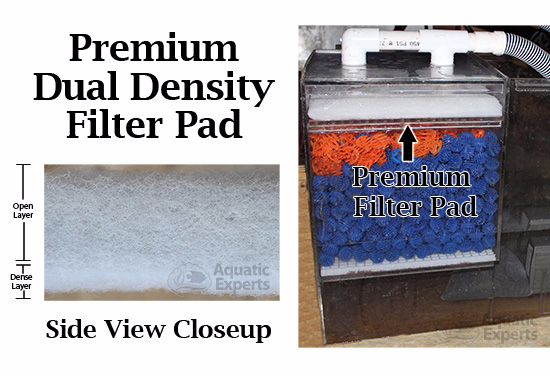 #2 Many aquarium filter pads are originally made for air filters in homes. Since these pads are not designed to be submerged, the pretty colors can come off into your aquarium's water. It is best to choose dye-free pads or pads specifically made and tested for underwater use. ﻿#3 Save money by choosing a filter pad that is durable enough to be rinsed, wrung out and reused several times. #4 Choose a thicker pad since they can trap and hold a lot more debris before they need to be cleaned. #5 Buy in bulk. Instead of buying filter pads which have been pre-cut, buy a roll and easily cut out the desired shape yourself. Buying bulk rolls can save you up to 300% over pre-cut filter pads. 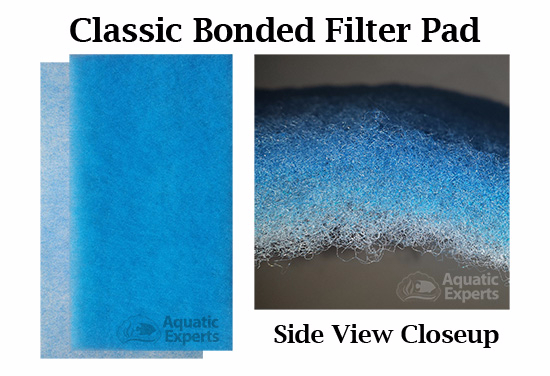 If you are like most hobbyists you have tried many brands of filter pads in an attempt to find the most effective one for your aquarium at a reasonable price. Aquarium authority and founder of Aquatic Experts, Laurren Schmoyer, says "Most hobbyists are stuck using mediocre filter pads. Ideally, you want the water to flow first through a pad which traps large to medium particles then through a pad to trap fine particles. 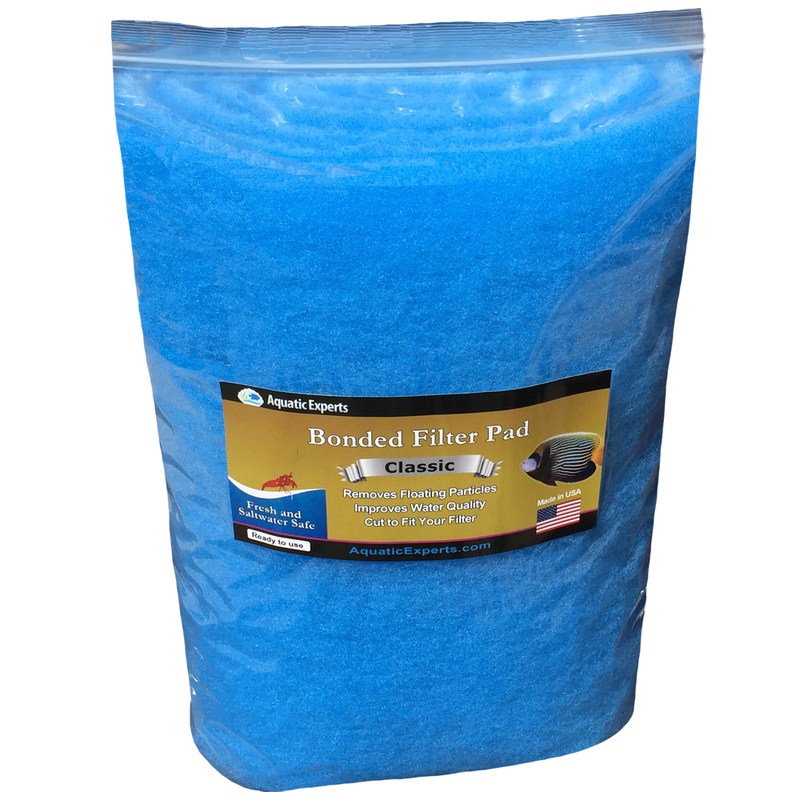 This combination produces crystal clear water; as a bonus placing the coarse filter pad before the fine pad will keep it from clogging as fast thus the pads will not need to be cleaned or replaced as often." Laurren Schmoyer owned a large aquarium store and aquarium service company for over 25 years. He was frustrated by most filter pads as they are manufactured specifically for the air filtration industry. They are untested and stuffed in aquarium filters, a combination which produces inconsistent filtering. 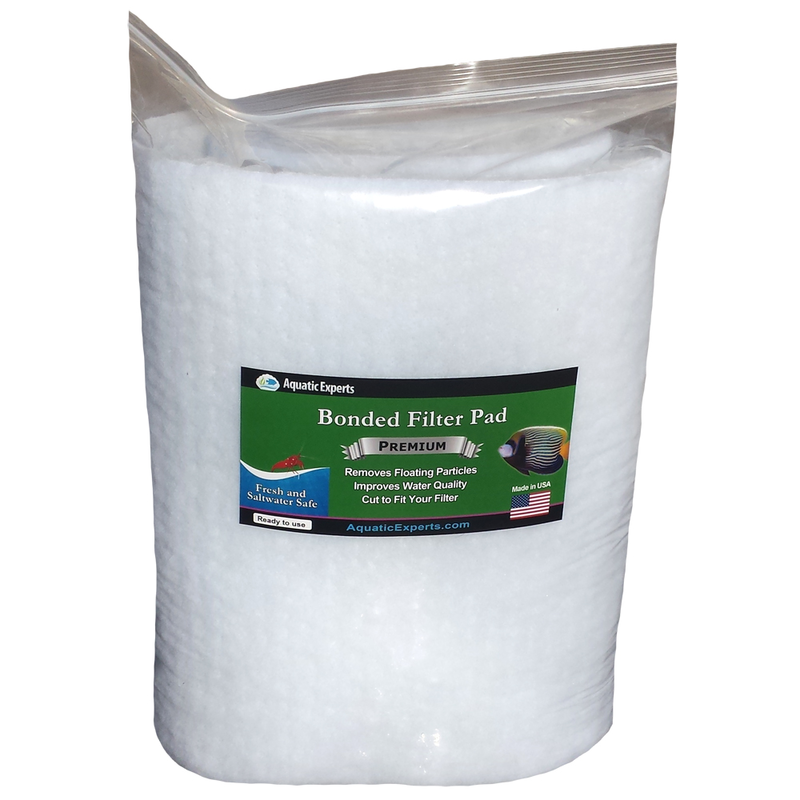 The pads lack durability and are not thoroughly tested for all types of aquatic animals. Schmoyer decided to create his own aquarium safe pad which beat his expectations - and his customers now rave about it! This filter pad, called Premium Dual Density Filter Pad, is now available on Amazon.com. This premium pad comes in both precut pads and rolls. Either can be cut to whatever shape you need for your filter while saving you money over buying precut brands. Schmoyers’ solution for those clients is his Classic Bonded Filter Pad. He says his Classic filter pad has an open fiber network and traps larger particles from the water. "It will keep your aquarium water clean while not having to be cleaned as often as our Premium filter pad." The quality and performance of his products speak for themselves since they are used by professional aquarists and aquarium service companies throughout the USA. 12" by 72" by .75"
Click Here to get a 20% Discount Now! CLASSIC BONDED FILTER ROLL - 12 INCH BY 72 INCH LONG BY .75"